Once again Wales lost to South Africa. The 24 -15 defeat to Springboks was their 25th in 27 attempts. There were issues at the lineout, where Wales lost four from 17, and the new scrum engagement protocols did seem to mean a marginally weakened the Welsh scrum, particularly when Adam Jones was replaced after 30 minutes. Plus, and perhaps more worryingly, Wales failed to score a single try – yet conceded three. But whilst this loss was undoubtedly frustrating, there were many noteworthy elements. Wales secured 53% of the possession and 52% of the territory despite losing two players after just 12 minutes. Wales made more clean line breaks than the Springboks, beat more defenders and executed an accurate defensive game– they had a completion rate of 92%, missing just eight tackles in total. Although it is worth stating that the tackles which were missed proved particularly costly, directly contributing to the Boks first try. And, as always, Leigh Halfpenny produced a sensational goal kicking performance – five from five. There will be many in Wales who will tag this loss onto Wales’ embarrassing record against the Boks. But they shouldn’t. This group of players aren’t responsible for past results, only the present. And presently they aren’t too far off a very good Springbok side. Amidst a cacophony of complicated offensive and defensive patterns and a mesmerizing dictionary of elite coaching terms rugby remains a simple game. It is very easy to be blinded by ‘drifts’,’ the blitz’, and ‘one plus one’ contact strategies. However, one simple and age old strategy is still as effective today as it was in the 19th Century – the ‘absolutely smash the bloke standing in front of you’ strategy. The Boks, thanks to their genes, are very good at it. Such is their proficiency they legitimately, it must be said, removed Liam Williams and Jon Davies from the field after just 12 minutes. The Boks’ impact in the tackle was as bruising as their carrying. Any Welsh ball carriers caught with lateral body angles were consistently driven behind the tackle-line – it’s not often that you see Alun- Wyn Jones being marched backwards. But the impact of the Boks physicality didn’t just leave a mark on the players that were removed from the field, it affected those who remained and how they played. With 68 minutes left on the clock Wales were forced into a major rejig which left unfamiliar combinations in key areas of the field. Of course, this isn’t to say that Wales were completely blown away in the contact area: they weren’t. Richard Hibbard’s carrying was as combative as ever, as too was Bradley Davies’, and Sam Warburton’s strength over the ball was impressive. But it wasn’t enough. If you want to beat the Boks you really have to literally ‘beat’ them. It may seem a tad unusual to write about the performance of a player who was forced to leave the field after just 12 minutes. However, Davies’ cameo does make you wonder what would have been had he stayed on the field. Whilst Davies’ injury shouldn’t be dwelled on it equally can’t be ignored. 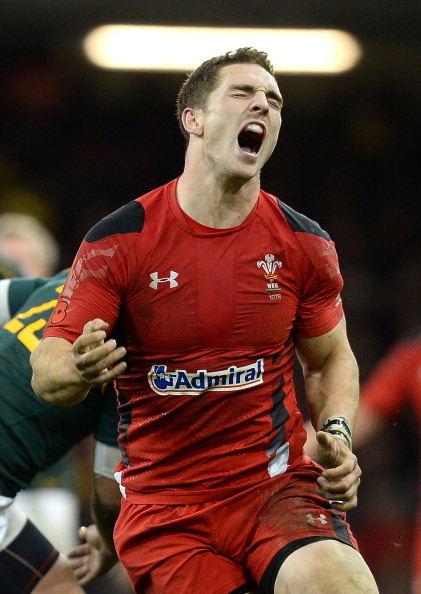 Despite missing 68 minutes of the game Davies was Wales’ most effective back by far. In just 720 seconds, Davies carried the ball further than any other player in the entire squad and beat more defenders and made more clean breaks than any other Welsh back in the rest of the game. 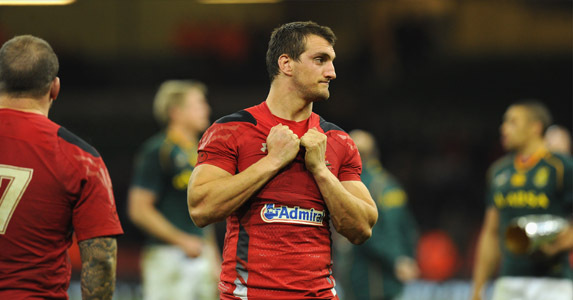 Unfortunately, it also seems as though Davies’ 12 minutes may be all we’ll see of him during the Autumn Internationals. He’s reportedly set to be out for the duration, and potentially the Six Nations if he requires an operation on a damaged pectoral muscle. Not good, not good at all. Jon Davies’ injury had an enormous impact on Wales’ game plan. However, the absence of Jamie Roberts and Alex Cuthbert was equally damaging. Wales had ample amounts of possession and territory against the Boks, but were essentially left with just one ball carrier in the backline: George North. The absence of two of Wales three ‘giants’ meant that Wales consistently struggled to make any meaningful line breaks in the central channels. Jon Davies was the only Welsh back to make a clean break. Missing two of their strike runners also reduced the number of meaningful decoys in the Wales’ attacking patterns and made North’s lines more obvious and easier to track. North was only able to carry the ball 23 yards from nine carries due to frequently being double and triple tackled. George North is a tremendous ball carrier but even he can’t carry Wales on his own. Why send off two front row forwards? 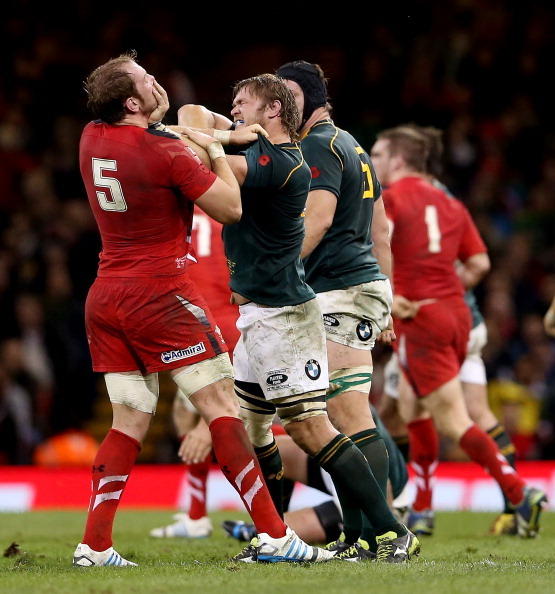 Alain Rolland’s decision to yellow card both Gethin Jenkins and Coenie Oosthuizen was unusual. Both props had been warned repeatedly about the stability of the scrum and in an effort to preserve the integrity of the set piece both were sent to the stands. However, the ‘passive scrums’ that resulted, due to the absence of specialists props, are the antithesis of a scrum’s integrity. Passive scrums should only be instigated if there is a genuine issue with safety; not merely because a referee can’t decide which team is genuinely at fault and brandishes a yellow for both. The sight of 14 forwards leaning on each other is a pathetic sight even at amateur level; at test level, in the Millennium Stadium it’s a travesty – it’s like watching a game of ‘Swingball’ on centre court at Wimbledon!